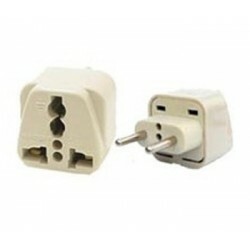 Use to connect any power plug to a variety of European power sockets (excludes BS 1363 sockets). Note: plugs do not convert voltage, they only change plug type. 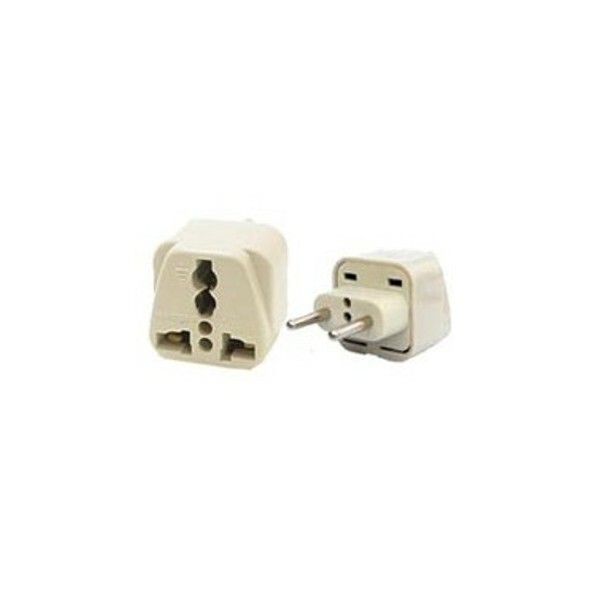 Accepts plugs from all countries except BS 546 (Type M). Countries supported include: Algeria, Argentina, Armenia, Aruba, Austria, Azerbaijan, the Azores, Bahrain, Bangladesh, the Balearic Islands, Belarus, Belgium, Bolivia, Bosnia-Herzegovina, Brazil, Bulgaria, the Cape Verde Islands, Chad, Chile, Croatia, Curacao, the Czech Republic, Denmark, East Timor, Egypt, Estonia, Finland, France, Georgia, Germany, Greece, the Republic of Guinea, Hungary, Iceland, Indonesia, Italy, Iran, Iraq, Jordan, Kazakhstan, Korea, Kuwait, Kyrgyzstan, Laos, Latvia, Lebanon, Lithuania, Luxembourg, Macedonia, Madeira, Myanmar (Burma), Moldova, Monaco, Montenegro, Mozambique, the Netherlands, New Caledonia, Niger, Norway, Oman, Palestine, Peru, Poland, Portugal, Qatar, Romania, Russia, Saba, Saudi Arabia, Sint Eustatius (St. Eustace), Sint Maarten (St. Marten), Serbia, Slovakia, Slovenia, Spain, Syria, Suriname, Sweden, Switzerland, Tajikistan, Turkey, Turkmenistan, Ukraine, the United Arab Emirates, Uruguay, Uzbekistan, Yemen.